Early Voting activity leading up to the February 26th Chicago Municipal Election is incredibly slow. Early voting began at the downtown Super Site on January 29th. 1,400 people cast votes during the first two weeks. That is an average of just 100 voters per day. Early Voting opened at 8:00am at locations in all 50 wards, in addition to the downtown Super Site. By 1:00pm, 1,600 more people had voted early in all 51 polling places combined. That brought the total of persons who voted early in the 2019 election to 3,000. Compared to past elections, those are dismal numbers. Political analysts seem to agree that this election can be won by candidates whose teams work the hardest and are most consistent. 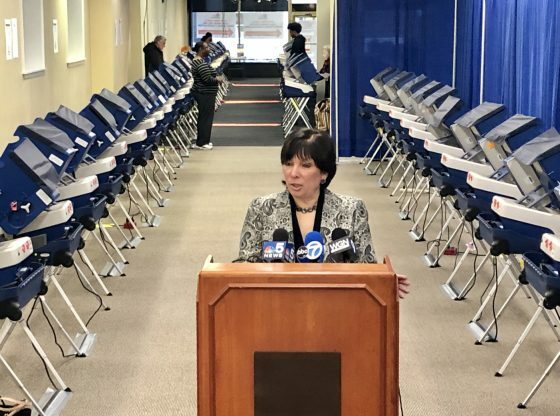 One explanation for the dismal turnout numbers is the inexperience of many mayoral campaigns who have never developed a Get Out The Vote campaign. Another is that most voters are still undecided about the mayor’s race. Many don’t know who to vote for and are waiting for lighting to strike.